Chennai is the capital of the Tamil Nadu state in India. Chennai is popular for one of the longest natural beaches in the world. Marina Beach runs along the shoreline of the Chennai. It has emerged as an educational hub of India as many renowned, and top class institutes are set up there. Chennai is the city where tradition and modernity coexist together. It is developing at a vast pace, and soon it will be a sophisticated metropolitan. 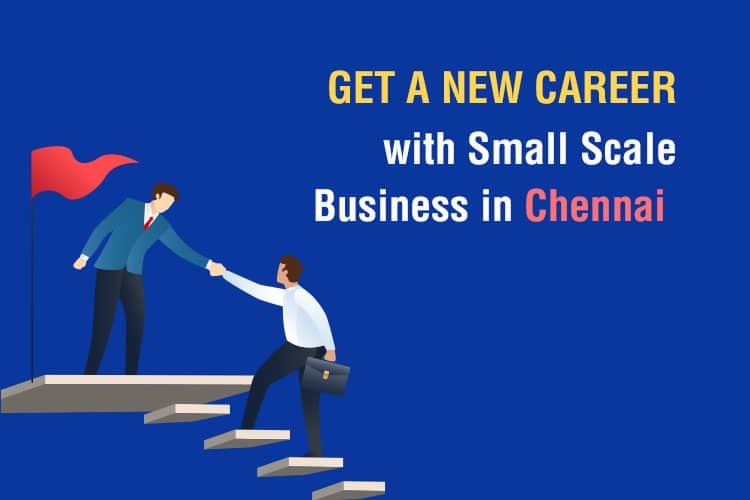 Chennai creates a suitable environment for entrepreneurial business without creating pressure that is experienced by businesses in the west. Small Scale industries are those in which manufacturing, providing services, productions are done on small scale or micro scale. For example these are the ideas of small scale industries: Napkins, tissues, chocolates, toothpick, water bottles, small toys, papers, pens. Small Scale industries play an important role in social and economic development of India. These industries do a one-time investment in machinery, plants, and industries which could be on an ownership basis, hire, purchase, or lease basis. Essentially small scale industries comprise of the small enterprise who manufacture goods or services with the help of relatively smaller machines and a few workers and employees. Basically the enterprise must fall under the guidelines set by the Government of India. A website or an application can be build that allows customers to choose their meals from various restaurants and delivers to them. There can be fees charged from the restaurants and clients for using your website or application. Chennai is the second largest BPO center city in India. Numerous people come to Chennai in order to earn good sums of money through their communication and other technical skill. Most of them order food online. You don’t need to much technical skill to run your food portal. If you want to start at a low level and want to target a specific area of the city, then 100,000 INR will be enough for you. 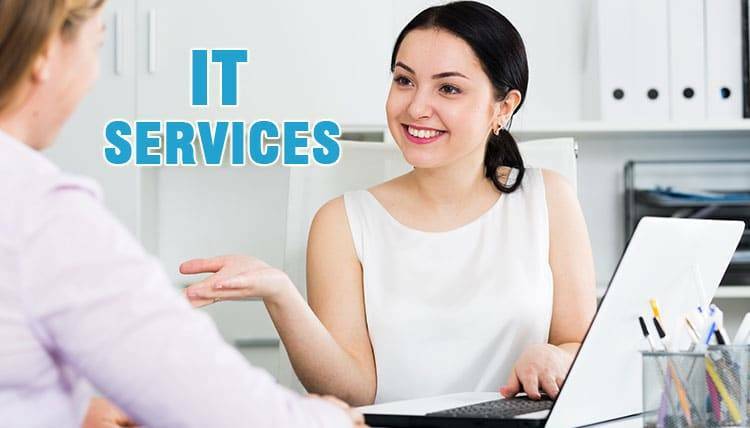 Cost of making a website or a portal is nearly 30,000-50,000 INR in Chennai because there is a massive competition in the IT sector of Chennai. Rest amount you can spend in the marketing of your business and acquiring customers. Hire a web developer or application developer and launch a portal or website with a catchy name. Find some restaurants which are ready for collaboration and to give you a commission. You will also need some delivery boys to deliver that food to your customer. In starting hire one or two only. Remember that you have hired people who are residents of that particular area and know about that location very well. If you are able to acquire a customer base, then you can improve the functioning of your site and can add some other features as well. Blogging requires very minimal startup cost or sometimes no cost. You need to invest in a domain name and hosting space. As for promotion the cost-free and limitless expense of the internet is required. You can write your blog from anywhere at any time. This makes it one of the best side businesses one can do apart from his job or study. Once you got a ranking, there is a considerable income in this particular business. You can earn through advertising, Google Adsense and selling your product. It doesn’t need technical expertise to start blogging. You can quickly begin blogging from your computer or laptop. You can start with your smartphone as well. Starting is easy, but the hard part is smart starting. Observe yourself; find one thing in which you can give some knowledge to other persons. Prepare a rough profile of your future reader what type of education they might have, from where they would read your blog, etc. Analysis it and finally research other websites and blogs which are delivering the same knowledge. Now, write down how differently you can provide that knowledge. Now it’s time to post articles on your website or blog. Promote your blog through your social handles. Everything will be easy after getting the momentum. You don’t need too much investment. In just 10,000 INR or less you can start a stunning blog. You can start this small scale business at home, where you can make and design jewelry with a mix of old and the new design. You can sell this jewelry to tourists. There can be a niche in which customers can be allowed to create personalized charms for themselves and loved ones as souvenirs. Giving personalized gifts in trend nowadays. You can quickly sell your customized products offline and online as well. Check whether you need permission from any government office in your area to start this business. More importantly, make sure you have a unique idea and test it in the market first. After that do the required changes in your concept of customization, and at the final stage, you will need customers. You can get customers from websites, or you can also sell your product by setting an online portal. You can start this business with 50,000 INR only. If you are fit and healthy enough and you can teach people about living the healthy lifestyle, opening classes for yoga and gymnasium would be a great idea, on the other hand, you can go to houses of the trainee and train them at their home. Youth is being concerned about fitness more than ever before. Not only old aged people but youth also prefers yoga. 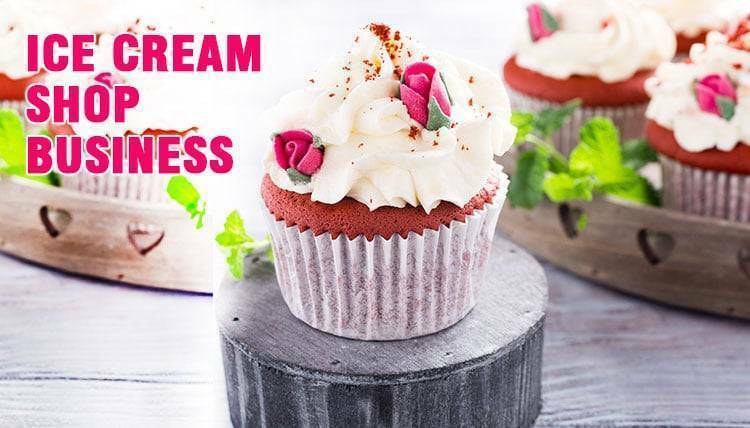 Before starting this business getting a certificate from any particular institute or opening a branch of other established brand will be the best idea to give it a start. If you want to be a personal trainee, then you don’t need to be too much stressed about certification. When it comes to getting customers to getting customers, you need marketing. You can go for digital marketing and going for traditional marketing is also a good idea. You can market your gym or yoga training center through flyers. You need a modest investment for starting your gymnasium, but you need nothing to start training in a commercial gym. Who doesn’t appreciate fresh fruit-juice on a sweltering day? To tap into this lucrative business, you have to start by requesting for a permit to open a kiosk in a chosen locality, preferably one that is hard to miss. Following this, you will need to pay rent for shop-space. Other than this, the only other investment you need to put your money up for is for the purchase of the raw materials, supplies like machines for making the juice, and the salaries of the employee(s) making the juice. You can think of delivering food to running errands for people; from picking up their laundry to walking their pets. You can branch out by offering your services to households with elderly people living in them. Social media has become the trending part of the world. Various corporate, startups and personal channels have all realized this and work to increase their presence on it. Various bigger companies or multinational companies now have a social media team to handle this aspect; the smaller ones reach out to stand alone social media strategists. The only investment that you need to make is to improve your online presence on advertising platforms like Facebook and LinkedIn and spend the necessary amount of money to ensure that your website ranks higher in the search engine pages and for maintenance. You can learn it from online courses and blogs without spending any money to master the skill. As we mentioned above most of the companies, want to make their online presence stunning. You can be a remote employ of those companies. After achieving the required skill set, you can start your own social media marketing agency and can offer your services to all those companies and startups. Forgetting customers, you have to market your own business as well. For starting social media strategist agency or business launching a website and making the presence of that website incredible will be enough to get customers. It will cost you nearly 20,000. In every developed city, shortage of maid is always a problem whether it Chennai, Bangalore etc. So many family faces difficulty and they have to do all the household work, now a days many girls and women are also doing job, they don’t get time for household work Very few maids are available. People in Chennai are facing the problem of at very concerned level. Most of the people are not getting the right person as their requirement. First, you have to decide which class you want to target. Arrange the people and make their profiles on your website. Promote your site strategically as per your targeted customer location and demand. You can also show your service charges. You can start your website just in 15,000 INR which will be able to handle any amount of traffic and can provide the latest feature to your audience or customers like sending those emails automatically or navigating features. But you have to spend huge money on marketing in order to get customers in starting. You can start a shop where you can sell gift articles. This is another fast developing small scale business. It has seen success in such a business idea; the provided shop is in a good location. It is the top small scale business ideas for women since women are always creative. This is the small creative scale business ideas. The Internet is bridging the religions and nations together. Now there are numerous occasions for exchanging of gifts apart from the anniversaries, birthdays and other personal life events. Showing a little extra creativity can increase the sell dramatically. Choose a shop or location for the stall which sounds where you can get the attention of the people. You can make your shop or stall stand out by putting some unusual signs; this technique is known as gorilla marketing. But make sure that all the symbols you use in your method don’t insult any community or religion. Budget ultimately depends on the type of gift articles you want to put in the shop to attract customers. If you plan to draw the attention of common people, then 30,000 is enough. Nowadays people have become very busy; they do not want to spend time on restaurants. 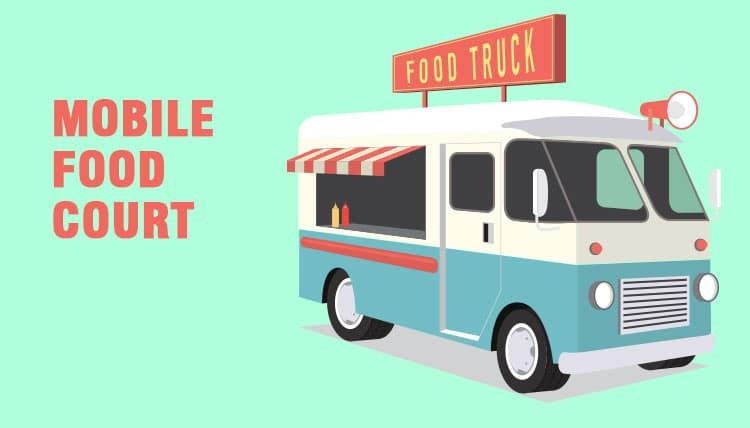 Mobile food courts are becoming prominent. They provide food facilities at good locations where there is a potential business. There are many locations where a number of restaurants are low or no restaurant. People love fast food or spicy food, and you can leverage this opportunity by offering them an entirely new dish. Starting this business is not difficult but also not that easy. You have to get permits to run a food vehicle even proper marketing in order to get costumes. Implementing this idea can be costly to some extent if you want to run a perfect business. You have to purchase a lot of things for your movable food court. You will need kitchen equipment, and the list goes on. It will cost you nearly 7 lakh to 8 lakh to give it a start. 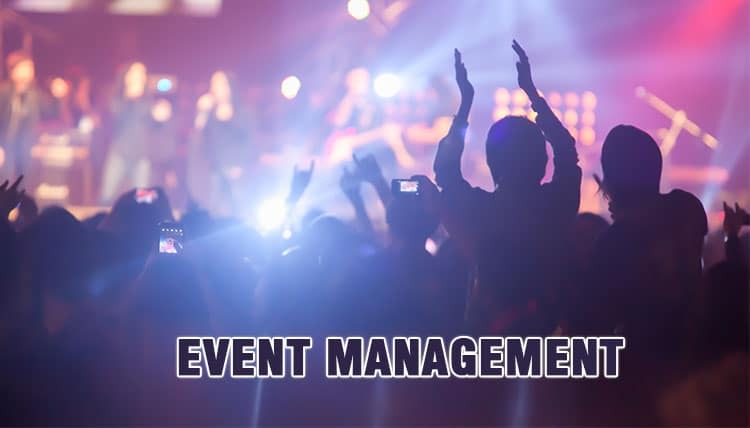 Event management business is a fast-growing business. If good networking is there and you can move things faster, this could be the best idea for small business. This is good business ideas with low investments and high profits. People don’t have time to organize their party due to the rapid speed of city development. They will hire you for saving their time and enjoy the event entirely. Parties are being organized on a massive scale. As like other many businesses listed here you need to get a license from the government. If you join some certificate course and earn a certificate from a well-known institute, then it will boost your position in the market. You need a perfect marketing plan as well to make it successful. You can start your event management business just with 35,000 INR or less. Nowadays people don’t demand ice creams in summers. If you open an ice cream parlor, it would be a good idea for a small business which would run in seasons. It is one of the good small profitable business ideas. Ice cream is an in-demand business. You don’t need a rich set of skills. Many ice cream companies are providing their refrigerators, and you can use them. You can also book other local areas gatherings or functions and can offer ice creams to them. You have to spend on location, or if you want to it movable, then it will cost not much to you. In starting 20,000 will be enough. If you open a bookstore, it is a good idea. You can include various school books, stationery or general management books, etc. it has become a standard business idea, people are finding this method as old but innovative ideas can lead to good money. Numerous people still love reading books. Not everyone can go to the library. Just target a specific niche and decide which type of books you are going to sell or re-sell the used books. This doesn’t require too much investment. You can start with 20,000 and can earn huge money. You can also market your business in this budget. 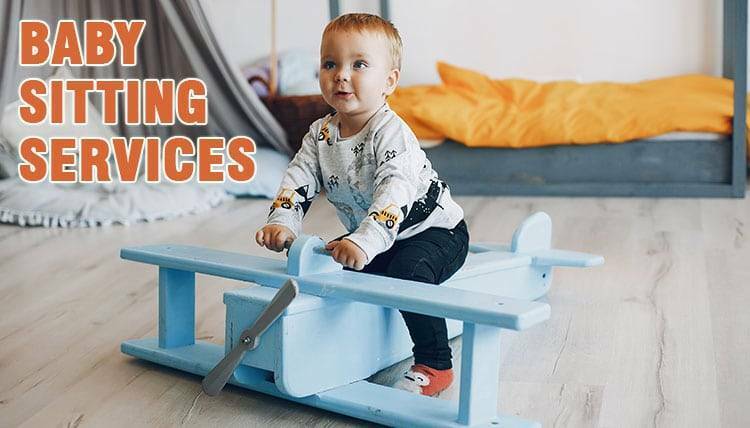 If you are a woman and want to start some small business babysitting service is a good option. It is going to be profitable in metro cities where women work and often look for these types of services. Most of the moms are employed, and they need someone to take care of the apple of their eyes. In Chennai employment is increasing and talent gets equal importance regardless of gender. Decide a specific age group and assemble things accordingly. Start a marketing campaign in a way that they can rely on your service. But make sure that you have got the required licenses and permits from the government. If you want to set your agency or company, you need an amount of nearly 1 Lakh, and there is no cost for giving one-to-one or home service. It services is a boom these days. If you are good at IT, you can start up your own business. High-speed internet is accessible to everyone. All these businesses can be started from an online platform like social media, blog or a website. Get a catchy name and buy a domain. All these businesses are somewhat like setting a blog. You will need a perfect digital marketing plan and money to execute that plan. You can also choose some free marketing ideas as well. But make sure that you have acquired all the needed skills and expertise to provide your services in exchange for money. Blogging is an entirely different thing from these websites. They will hire you, and you have to work for them if you want to get money from your customers. No one will pay you just for information. So first achieve the needed level of expertise in your area. You won’t need a huge amount and according to new policies if you are earning less than 5 lakh per year, then you don’t need any particular government permission. In simple words, the government won’t charge you any amount in the form of Income Tax. Initial budget is something 30,000 INR or less for executing these ideas. Most people find it as a symbol of status. people are willing to spend money on pet easily. Because they become emotionally attached to them. There are best small business ideas which can be started with low investment. Choose a small business idea which fits best based on your timing, choice and based on your how much you want to earn. There are various advantages to starting home based business. You can initiate the business with comparatively small startup capital investment, so you can start your business with minimum financial risk, at any moment of time you can scale up the Business. You can plan an expansion strategy without spending much, And finally, if you are already jobber, you can start the home-based business as side income avenue. When you start getting confidence, you can consider putting in full time to business.